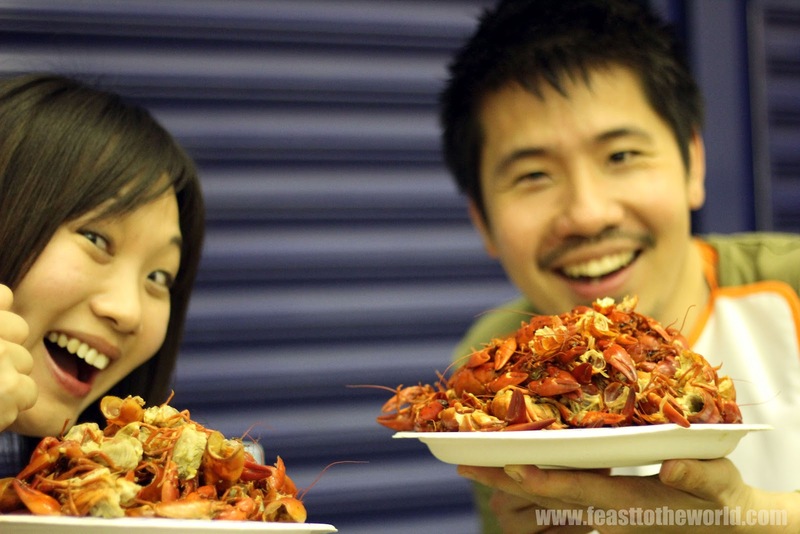 About a week ago, I went to a pop-up Crawfish Boil event hosted by the lovely Bea's of Bloomsbury. 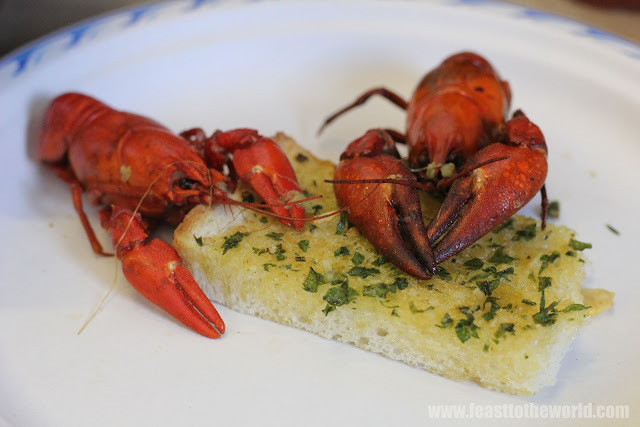 I was so excited that I found myself relentlessly posting tweets about this throughout the day (apologies to anyone who's time line was spammed by my crawfish rants on the day) I have never had been to a crawfish boil as it is traditionally an American or more specifically Louisiana thing. Event like this is not normally found on this side of the pond. So what is a crawfish boil? First of all, its crawfish, not crayfish, which my auto correct on twitter seemed determined to tell me otherwise. They are similar in sizes but a crawfish has much shorter and crab-like claws. In fact, they looks a bit like a baby lobster. 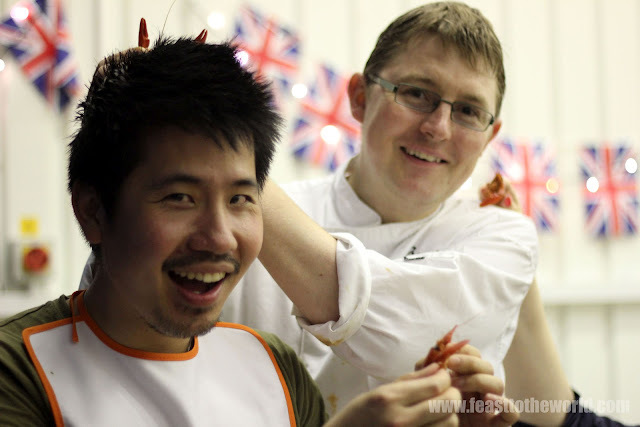 These came from the UK rivers and were considered as pest and they have gradually over taken the more well-known pale-claw crayfish population so therefore by consuming them at this crawfish boil, we are helping to eradicated this problem. The pop out event was held at the Bea's diner on Maltby Street market (my favourite breakfast venue). Under this railways arches, the entire diner has been transformed into rows of long tables to cater for the anticipated massive number of crawfish cravers like myself. The tables were adorned with a selections of dipping sauces (comeback sauce, cocktail sauce and Cajun butter sauce). Bottles of hot tobacco were also on site for anyone who wanted to add an additional kick. There were also rolls of blue kitchen paper rolls and giant bibs (a messy affair was obviously predicted here). Once seated, there were trays of garlic bread to nibble at as we waited for the feast to began. Shortly after, trays of flame-red crawfish presented themselves before our very eyes. These have been boiled with chunks of sweetcorn, potatoes, smoky polish sausages and lots of cajun spices. Now to tackle the ferocious looking little things was quite an adventure of it's own. They have rather vicious claws and pointy spikes throughout it body which made shelling extremely tricky But for the sake of tasting this beautiful looking seafood, I gallantly endured the pain and started twisting the heads off and did a very Chinese thing - sucking the juicy head (yum!). 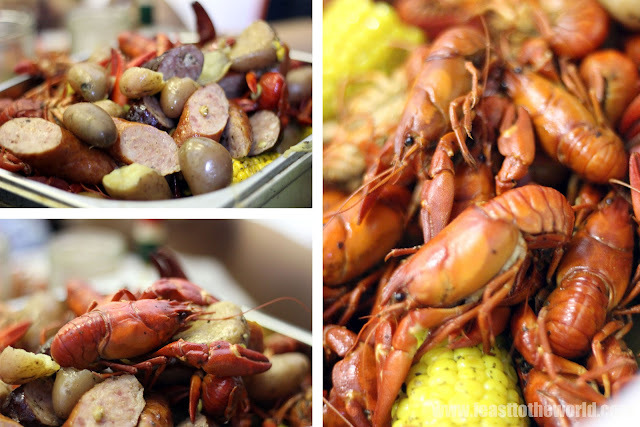 The crawfish were incredibly fresh and they had took on the sweetness of the corn and were absolutely delicious. After the first few painful attempts, I gradually got the hang of it and shelling were plain sailing thereafter. 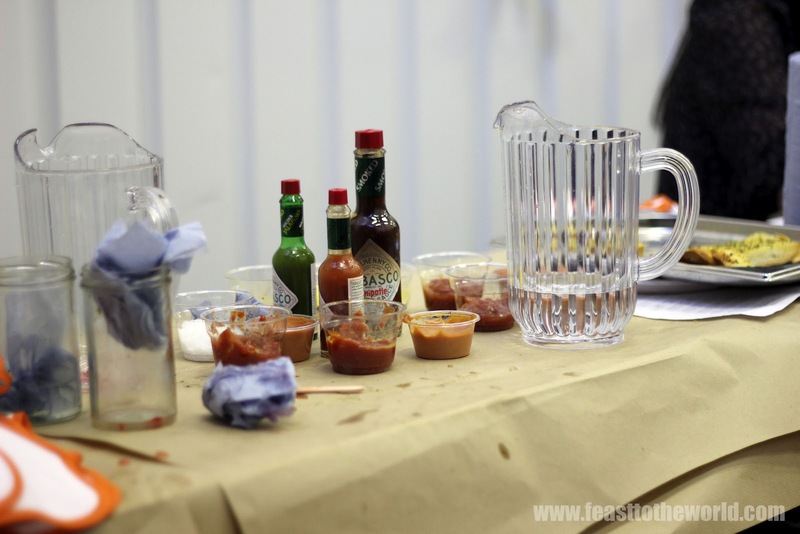 The homemade sauces that were on the table were perfect accompaniment to the crawfish and my favourite was the melted butter which was packed full of spicy tones. The corn were sweet and packed full of flavours. The polish sausage too, were a tasty delight and a worthy addition. The night went on and the never ending trays of crawfish just kept on coming. Mountains of empty shells slowly piled up on our plates and by the time we've gone though the 8th tray, we were about to give up and called it a day. 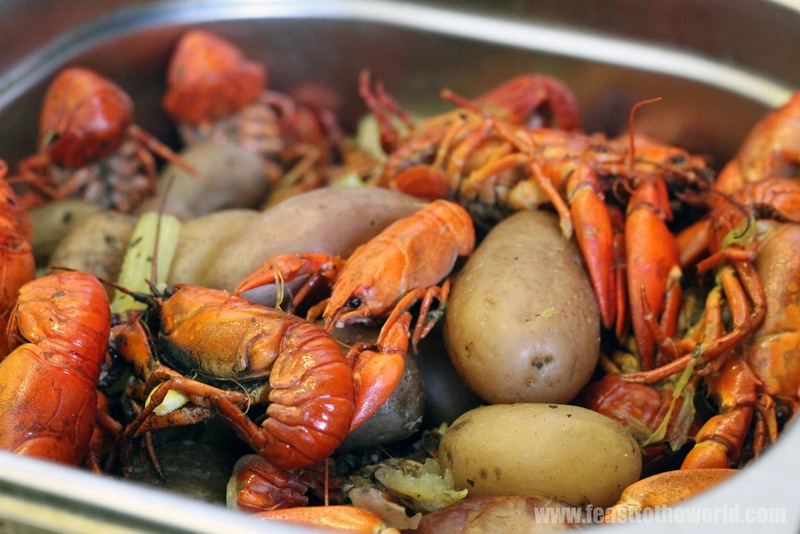 However, the ever amiable Be a just kept on sending those Crawfish our way, obviously determined to fed us well. By the end of the night, we have consumed a whopping 10 massive trays of crawfish between us and we most definitely were the second last table standing. 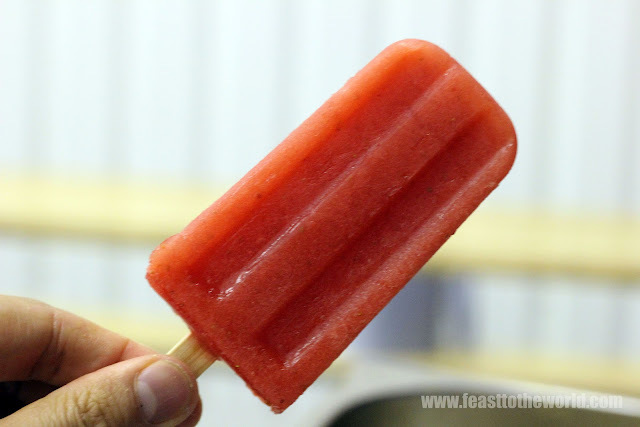 The entire feast were rounded off nicely with some of Bea's new Ice lollies that were made from fresh fruit purée. 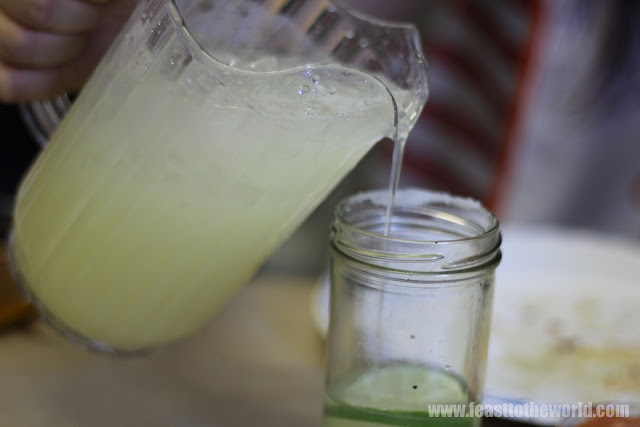 I opted for the Ice margarita which was very refreshing. A brilliant end to a fantastic meal. 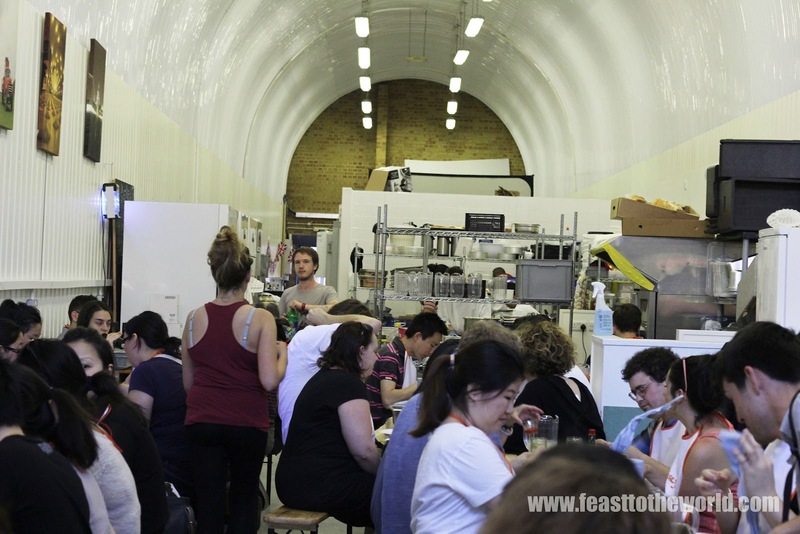 The whole event were fun and being seated by the communal tables meant it was quite a sociable event. The price for the seating was £24 and you can as much as you want on the night. Alcohol were also available on the evening but remember to bring cash. For more information about the future Crawfish Boil event, click here for link to the website. Was a great evening of feasting and fun! was a great post thanks for sharing! home this coming weekend!!! Thanks for inspiring me!!! Two thumbs up!! !